Tom is the founder and CEO of Jun Capital. He has over 25 years of experience in cross-border technology investing, fund management and corporate strategy. Tom was previously the co-founder of Kai Capital Partners in Singapore and the General Manager & Partner of Iris Capital Management (MENA), the Dubai-based fund manager of STC Ventures. While in Dubai from 2009 – 2014, he concurrently served as a special investment advisor to Saudi Arabia’s National Science Foundation & National Research Laboratories (“KACST”); Taqnia, the Kingdom’s sovereign technology investment company; and SABIC Ventures, the globally-active corporate VC arm of the Saudi Basic Industries Corporation.Before relocating to the Middle East, he was the Managing Director of the Canadian affiliate of Garage Technology Ventures, a seed and early-stage venture capital fund located in Silicon Valley. He was previously CEO of Classwave Wireless (closed post-9/11) and founder and CEO of Abilon (sold in 1997).In 2011, he led the international team that prepared a comprehensive study for the government of Saudi Arabia on reforming its legal and taxation systems as they relate to venture fund formation and VC investing. From 2005 until 2010, he served as Chairman of the VC & Intellectual Property Working Groups for the Strategic Innovation program between Canada and the State of California. The group’s recommendations resulted in amendments to Canada’s taxation laws for facilitating cross-border investing. A second comprehensive report was distributed to all universities across Canada and the State of California as a reference guide for cross-border IP development and multi-national commercialization.Tom graduated with a B.Eng (First Class Honours) as the Cadet Wing Commander from the Royal Military College of Canada and began his career as a fighter pilot in Europe, where he flew the F-18 Hornet. He became the Air Wing Electronic Warfare Officer, a NATO Wing Tactical Evaluation Officer, and represented Canada on various US and NATO strategic and technology intelligence committees. He has over 25 years of experience in cross-border technology investing, fund management and corporate strategy.Tom was previously the co-founder of Kai Capital Partners in Singapore and the General Manager & Partner of Iris Capital Management (MENA), the Dubai-based fund manager of STC Ventures. While in Dubai from 2009 – 2014, he concurrently served as a special investment advisor to Saudi Arabia’s National Science Foundation & National Research Laboratories (“KACST”); Taqnia, the Kingdom’s sovereign technology investment company; and SABIC Ventures, the globally-active corporate VC arm of the Saudi Basic Industries Corporation.Before relocating to the Middle East, he was the Managing Director of the Canadian affiliate of Garage Technology Ventures, a seed and early-stage venture capital fund located in Silicon Valley. He was previously CEO of Classwave Wireless (closed post-9/11) and founder and CEO of Abilon (sold in 1997).In 2011, he led the international team that prepared a comprehensive study for the government of Saudi Arabia on reforming its legal and taxation systems as they relate to venture fund formation and VC investing. 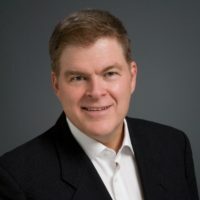 From 2005 until 2010, he served as Chairman of the VC & Intellectual Property Working Groups for the Strategic Innovation program between Canada and the State of California. The group’s recommendations resulted in amendments to Canada’s taxation laws for facilitating cross-border investing. A second comprehensive report was distributed to all universities across Canada and the State of California as a reference guide for cross-border IP development and multi-national commercialization.Tom graduated with a B.Eng (First Class Honours) as the Cadet Wing Commander from the Royal Military College of Canada and began his career as a fighter pilot in Europe, where he flew the F-18 Hornet. He became the Air Wing Electronic Warfare Officer, a NATO Wing Tactical Evaluation Officer, and represented Canada on various US and NATO strategic and technology intelligence committees. 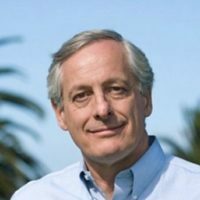 Bill Reichert is a Managing Director at Jun Capital and lives in Los Altos, California. He is also the Managing Director of Garage Technology Ventures, a premier seed-stage venture capital firm in the United States.Since co-founding Garage in 1998, Bill has made investments in early-stage companies and has worked intensively with them. These include: Pandora Media (NYSE:P), LeftHand Networks (acquired by HP), Tripwire (acquired by Golder Thoma), Digital Fountain (acquired by Qualcomm), iNest (acquired by LendingTree), Digital Envoy (acquired by Google), Psionic (acquired by Cisco), Answers.com (NASDAQ: ANSW), MiaSole and Simply Hired, among others.Prior to Garage, Bill co-founded Academic Systems, a software company funded by Kleiner Perkins, Accel Partners, and Microsoft. In 1998, it merged with Lightspan and was subsequently acquired by Plato Learning.Prior to Academic Systems, Bill was a senior executive with early-stage, venture-backed technology companies, including The Learning Company, and Infa Technologies, which developed many concepts underlying the Newton and Palm devices. Bill also co-founded Trademark Software, which was subsequently acquired by Dow Jones.Earlier in his career, Bill worked at McKinsey & Company; the World Bank in Washington, DC; and in New York at Brown Brothers Harriman & Co. As a Silicon Valley serial entrepreneur and VC, Bill is actively asked to speak and write globally on innovation, entrepreneurship, leadership and corporate growth.Bill earned his B.A. at Harvard University and an M.B.A. from Stanford University. He has taught at Golden Gate University and has been a guest lecturer at Stanford University, the University of California, Berkeley, and the Auckland University of Technology. He was a founding board member and chairman of the Churchill Club and is a member of the Council on Foreign Relations in New York. Nava is a Managing Director at Jun Capital and lives in Tel Aviv, Israel. With over 25 years of experience in innovation & technology commercialization, Nava serves as President & Chairperson of the International Commercialization Alliance (Toronto); adviser to the Israeli government on innovation and international R&D collaborations; and the UN’s World Intellectual Property Organization. She is the founder of NanoIsrael and the International Nanotechnology Conference & Exhibition.Nava is the Israeli delegate to the OECD’s Business & Industry Advisory Council network, a board member of the Rome-based International Network of Small & Medium-Sized Enterprises, and the Brussels-based Knowledge Economy Network. She is a member of the Board of Governors and the Executive Committee of the Ruppin Academic Centre and a member of the Board of Directors of Israel Military Industries Systems.From 2005-2009, she was President & CEO of Yissum, the technology commercialization company of the Hebrew University of Jerusalem. Nava established Yissum as a global leader in technology transfer, increasing revenues by 75%, while signing over 1,200 agreements. 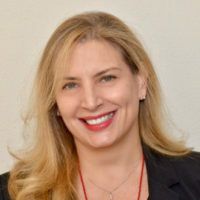 Prior to Yissum, she was a partner at leading VC firms in California and Israel – Sanderling Ventures, Concord Ventures and Columbine. Prior to being a VC, she was a Vice President at Ciba (now Novartis).Nava has served on the boards of X Technologies (sold to Guidant), Optonol (sold to Alcon), Dynavax (NASDAQ: DVAX), Novagali Pharma S.A. (floated on Euronext, then sold to Santen), BioCancell and Proteologics (both traded on TASE), among others. As active chairperson, she took Aderis pharmaceuticals from a valuation of $6 million to over $120 million. Aderis was later sold to Schwarz Pharma.Nava holds a law degree from the Tel Aviv University, an MBA from IMD International in Lausanne, Switzerland. She is the youngest ever to have been admitted to the Israel Bar Association and is a retired Captain in the Israel Defence Forces. Greg is the Managing Director at Jun Capital and is based in La Jolla, California. He is a serial entrepreneur, investor, author, and a globally-recognized pioneer in the field of innovation-based economic development. He is also a visiting lecturer at Stanford University and serves as the Director of Innovation at the University of California, San Diego. Greg has spent over 25 years working in start-ups and venture capital and has started, mentored, advised, invested in, and/or served as a board member of hundreds of companies which today are worth more than the US $5 billion.He is the co-author of the bestselling book, The Rainforest: The Secret to Building the Next Silicon Valley, and is a trusted adviser to notable organization like the US State Department, the Aspen Institute, the University of California, the World Bank, and the Inter- American Development Bank. He is also a Senior Fellow with the Global Federation of Competitiveness Councils. 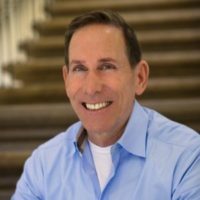 He is a former director of the CONNECT program in San Diego and is the co-founder of Global CONNECT, which has grown to be a global network of accelerator programs in over 25 countries.Greg began his career working for the Berkshire Hathaway operating company where he spent over 17 years in various sales and executive management roles before leaving to join his first Silicon Valley startup. Councils.He is a former director of the CONNECT program in San Diego and is the co-founder of Global CONNECT, which has grown to be a global network of accelerator programs in over 25 countries.Greg began his career working for the Berkshire Hathaway operating company where he spent over 17 years in various sales and executive management roles before leaving to join his first Silicon Valley startup. Tina is a Partner at Jun Capital and is based in Shanghai. She is the founder and Managing Partner of KPCB China and TDF Capital (Shanghai) and has more than 25 years of experience in venture capital, investment banking, and company operations.Since 2000, Tina has led more than 30 investments with many successful exits, including Alibaba Group, Baidu, Cgen, China Auto Rental, Focus Media, Hurray, Kingnet, etc. She currently serves on the board of directors for a number of companies, including Chiral Quest, CreditEase (and Yirendai), DHgate, SinoEV, and Sinowel. 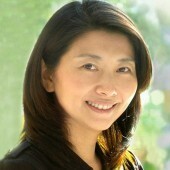 Tina has been honored on the Forbes China list of China’s Best Venture Capitalists every year since 2006. She is also an active investor in the Impact Investing space: providing support to social entrepreneurs who strive to make a difference in solving social and environmental problems.Prior to beginning her VC career in 1999, Tina spent 11 years in investment banking at Deutsche Bank (head of TMT Asia), Merrill Lynch (head of Asia Technology) and Goldman Sachs.Tina is the founding chairperson of Women In Leadership (“WIL”), serves as governor of the Shanghai Venture Capital Association, and as a director on the Board of Advisory Council for Oxford Saïd Business School. Tina holds an M.B.A. from Harvard Business School and a B.S. in industrial engineering and operations research from UC Berkeley. She is the founder and Managing Partner of KPCB China and TDF Capital (Shanghai) and has more than 25 years of experience in venture capital, investment banking, and company operations.Since 2000, Tina has led more than 30 investments with many successful exits, including Alibaba Group, Baidu, Cgen, China Auto Rental, Focus Media, Hurray, Kingnet, etc. She currently serves on the board of directors for a number of companies, including Chiral Quest, CreditEase (and Yirendai), DHgate, SinoEV, and Sinowel.Tina has been honored on the Forbes China list of China’s Best Venture Capitalists every year since 2006. She is also an active investor in the Impact Investing space: providing support to social entrepreneurs who strive to make a difference in solving social and environmental problems.Prior to beginning her VC career in 1999, Tina spent 11 years in investment banking at Deutsche Bank (head of TMT Asia), Merrill Lynch (head of Asia Technology) and Goldman Sachs.Tina is the founding chairperson of Women In Leadership (“WIL”), serves as governor of the Shanghai Venture Capital Association, and as a director on the Board of Advisory Council for Oxford Saïd Business School. Tina holds an M.B.A. from Harvard Business School and a B.S. in industrial engineering and operations research from UC Berkeley. 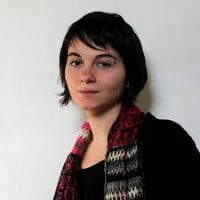 Dr. Primavera De Filippi is a permanent researcher at CERSA / CNRS / Université Paris II in France. based economic models and token sales. As part of her research, Primavera is working with DAOstack in designing decentralized governance models for blockchain-based applications. Primavera holds a Ph.D. in law from the European University Institute in Florence. She is a member of the Global Future Council on Blockchain Technologies at the World Economic Forum, as well as the founder of the Internet Governance Forum’s dynamic coalitions on Network Neutrality, Platform Responsibility and Blockchain Technology (“COALA”).In addition to her academic research, Primavera acts as a legal expert for the Creative Commons in France and sits on the stakeholder board of the P2P Foundation. based economic models and token sales. As part of her research, Primavera is working with DAOstack in designing decentralized governance models for blockchain-based applications.Primavera holds a Ph.D. in law from the European University Institute in Florence. She is a member of the Global Future Council on Blockchain Technologies at the World Economic Forum, as well as the founder of the Internet Governance Forum’s dynamic coalitions on Network Neutrality, Platform Responsibility and Blockchain Technology (“COALA”).In addition to her academic research, Primavera acts as a legal expert for the Creative Commons in France and sits on the stakeholder board of the P2P Foundation. Eric is a Vice President with Jun Capital, based in Jun’s Shanghai office, which is co-located with Kleiner Perkins China and TDF Capital. Eric has 6 years of experience in corporate finance, including over 4 years in cross-border M&A, and an extensive professional network in the Chinese capital markets and finance industry (including in Hong Kong and Taiwan).Prior to joining JUN, Eric worked as an investment associate in Guidon Investments, a Chinese cross-border M&A fund, during which time he closed 10 foreign technology acquisition deals for Chinese companies. 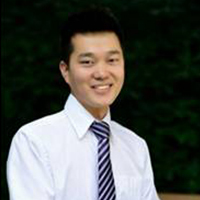 His expertise in identifying opportunities and managing transactions that combine foreign technology, Asian investment capital, and Chinese markets is central to JUN’s business strategy in Asia.He began his career as a financial analyst in Huawei Technologies and also served as a finance manager in its Latin American subsidiary. In this capacity, he worked extensively across China, Mexico, and the Dominican Republic.Eric graduated with a Bachelor of Financial Management (First Class Honours) and subsequently earned a finance MBA (First Class Honours) at the Shanghai Advanced Institute of Finance, Shanghai Jiao Tong University, one of China’s top four universities. He is a member in good standing of the Chinese Institute of Certified Public Accountants (“CICPA”) and the Asset Management Association of China (“AMAC”) and is a level 3 candidate of the international Chartered Financial Analyst (“CFA”) Program.Eric is licensed in China for equity fund management and plays a key role in JUN’s China JV business, co-managed JV funds, and JUN’s asset-backed financing business. Eric has 4 years of professional experience in corporate finance and over 2 years in cross-border M&A. He began his career as a financial analyst in Huawei Technologies and also served as its overseas subsidiary finance manager. In this capacity, he worked extensively across China, Mexico and the Dominican Republic. 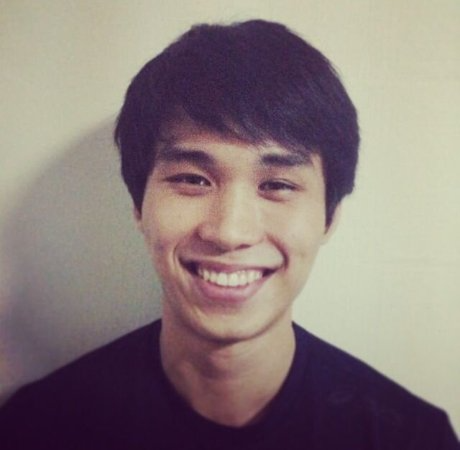 Prior to joining KAI, Eric worked as an investment associate in Guidon Investments, a Chinese cross-border M&A fund. During his tenure at Guidon, Eric closed ten (10) foreign advanced technology acquisition deals for Chinese companies. His expertise in identifying and managing opportunities and transactions that combine foreign technology, Asian investment capital, and Chinese markets is central to KAI’s business strategy in Asia and Greater China. Eric is licensed in China for equity fund management and plays a key role in the KAI-TDF China JV Fund and KAI’s general partner affiliate: Kai China Ltd. Eric graduated with a Bachelor of Financial Management (First Class Honours) and subsequently earned a finance MBA (First Class Honours) at the Shanghai Advanced Institute of Finance, Shanghai Jiao Tong University, which is one of China’s top four universities. 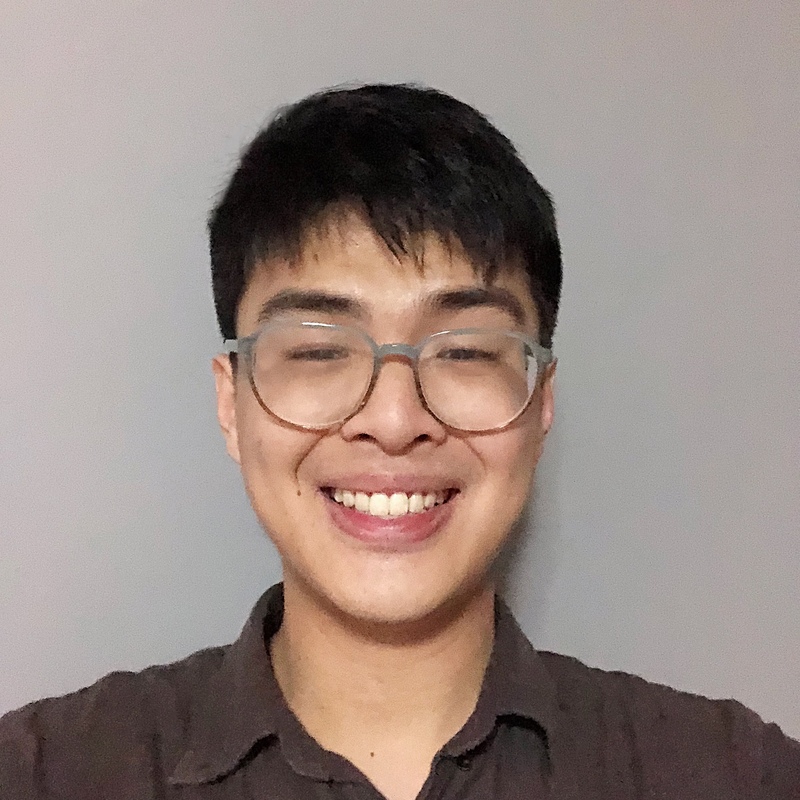 He is a member in good standing of the Chinese Institute of Certified Public Accountants (“CICPA”) and the Asset Management Association of China (“AMAC”), and is a level 3 candidate of the international Chartered Financial Analyst (“CFA”) Program. Eric has extensive connections to Chinese investors and potential acquirers through his professional network, which includes close friends and alumni working in the Chinese capital markets and finance industry (including in Hong Kong and Taiwan). Teck Wu Ong is a Vice President with Jun Capital and resides in Singapore. He is an early and active crypto investor, token ecosystem strategist and crypto-community manager. Teck Wu is the co-founder of Blockfolks Ltd., one of east Asia’s industry leaders within the crypto community for ICO growth and community management services. As the Chief Evangelist for Blockfolks, Teck Wu is primarily focused on the company’s strategic growth and partnership development. He manages many of the largest crypto-communities in Singapore. In his free time, Teck Wu administrates the CryptoSG channels and primarily the ICO channel. 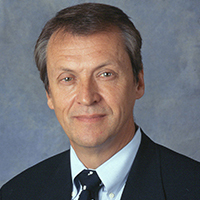 Dr. Robert Dynes is a Senior Advisor with Jun Capitals. He was the 18th president of the University of California from 2003 until 2008. Robert lives in La Jolle, California. Starting as a first-generation college graduate, in 1990 he came to the University of California San Diego (“UCSD”) as a globally-distinguished physicist, after a 22-year career at AT&T Bell Laboratories. 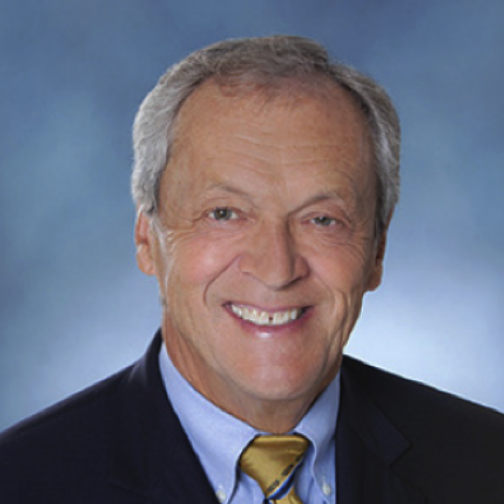 He subsequently served as the sixth chancellor of the UCSD campus from 1996 to 2003, prior to assuming the Presidency the University of California System (ten UC universities and three national research laboratories). 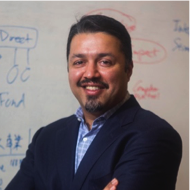 Since leaving the UC presidency in June 2008, he re-joined UCSD as a professor in the Department of Physics and is frequently consulted by graduate students, entrepreneurs, seed investors and venture funds across the entire California innovation ecosystem. Robert serves on the boards of a number of scientific and philanthropic organizations. He chairs the National Research Council’s Radiation Studies Board and recently chaired a National Academy of Sciences Study on Advanced Radiation Detectors. Its report was delivered to the Department of Homeland Security.In 1989, he was elected to the National Academy of Sciences and in 1993 to the American Academy of Arts and Sciences. He is a Fellow of the California Council on Science and Technology, a Fellow of the American Physical Society and a Fellow of the Canadian Institute for Advanced Research. He is a member of the US Business-Higher Education Forum. Robert remains very active in the national scientific arena, is an active participant in California’s vibrant innovation ecosystem across multiple emerging technologies. Bob lives in La Jolle, California.Starting as a first-generation college graduate, in 1990 Bob came to the University of California San Diego (“UCSD”) as a globally-distinguished physicist, after a 22-year career at AT&T Bell Laboratories. He subsequently served as the sixth chancellor of the UCSD campus from 1996 to 2003, prior to assuming the Presidency the University of California System (ten UC universities and three national research laboratories).Since leaving the UC presidency in June 2008, he re-joined UCSD as a professor in the Department of Physics and is frequently consulted by graduate students, entrepreneurs, seed investors and venture funds across the entire California innovation ecosystem.Bob serves on the boards of a number of scientific and philanthropic organizations. He chairs the National Research Council’s Radiation Studies Board and recently chaired a National Academy of Sciences Study on Advanced Radiation Detectors. Its report was delivered to the Department of Homeland Security.In 1989, he was elected to the National Academy of Sciences and in 1993 to the American Academy of Arts and Sciences. Dr. Dynes is a Fellow of the California Council on Science and Technology, a Fellow of the American Physical Society and a Fellow of the Canadian Institute for Advanced Research. He is a member of the US Business-Higher Education Forum.Bob remains very active in the national scientific arena, is an active participant in California’s vibrant innovation ecosystem across multiple emerging technologies. Eswar has been an active investor, advisor and operator in the clean energy industry for over a fifteen-year period in the US, Japan, Europe, Africa, Middle East and Southeast Asia. He was previously the Head of Business Development at BCPG, based in Tokyo, after having spearheaded the divestment of SunEdison Japan to a Thai utility company. While at SunEdison, Eswar structured development equity financing for Asia. Prior to this role, he was a Principal at Masdar Capital in Abu Dhabi, responsible for investing in clean technology globally and for fundraising from Japanese sovereign/strategic investors. Before joining Masdar Capital, Eswar consulted for the World Health Organization in reviewing commercial business sustainability of social entrepreneurs within the household water treatment systems’ supply chain in Sub-Saharan Africa. He began his career in investment banking, as a Senior Associate at Credit Suisse in Tokyo and London, where he managed the firm’s equity structuring needs for European, Middle Eastern, Russian and Japanese issuers. Eswar holds an MBA from the MIT Sloan School of Management, where he was a Henry J. Ford Scholar, and has a B.Sc. dual degree in Philosophy and Economics from the London School of Economics and Political Science. At MIT, Eswar was a teaching assistant for the Lab for Sustainability (S-Lab) course and an organizer of the MIT Energy Conference. Eswar has spent over 25 years in Japan and is fluent in Japanese. 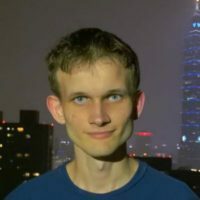 Vitalik is the creator of Ethereum and the co-founder of the Ethereum Foundation. He first discovered blockchain and cryptocurrency technologies through Bitcoin in 2011 and was immediately excited by the technology and its potential. Vitalik co-founded Bitcoin Magazine in September 2011. After two and a half years looking at what the existing blockchain technology and applications had to offer, he wrote the Ethereum white paper in November 2013. He attended the University of Waterloo but left in 2014 after he received the Thiel Fellowship and went to work on Ethereum full-time.He now leads Ethereum’s research team, working on future versions of the Ethereum protocol. He first discovered blockchain and cryptocurrency technologies through Bitcoin in 2011 and was immediately excited by the technology and its potential.Vitalik co-founded Bitcoin Magazine in September 2011. After two and a half years looking at what the existing blockchain technology and applications had to offer, he wrote the Ethereum white paper in November 2013. He attended the University of Waterloo but left in 2014 after he received the Thiel Fellowship and went to work on Ethereum full-time.He now leads Ethereum’s research team, working on future versions of the Ethereum protocol. Jake is the CEO and co-founder of Rate3. Prior to co-founding Rate3, Jake was also involved in venture capital and led growth in other startups. Given Jake’s strong interest in technology and entrepreneurship, he also serves as an Advisor for both Odyssey Foundation (oBike) and DATx, a blockchain-empowered digital advertising terminal. Jake is also a Graduating Fellow at eFellows, an Alibaba Global Initiative. Likewise, he is a strong advocate of Singapore’s startup scene, having given various addresses in startup events, with the latest being UniCON 2018. Jake obtained his undergraduate degree in both Economics and Technopreneurship from National University of Singapore.